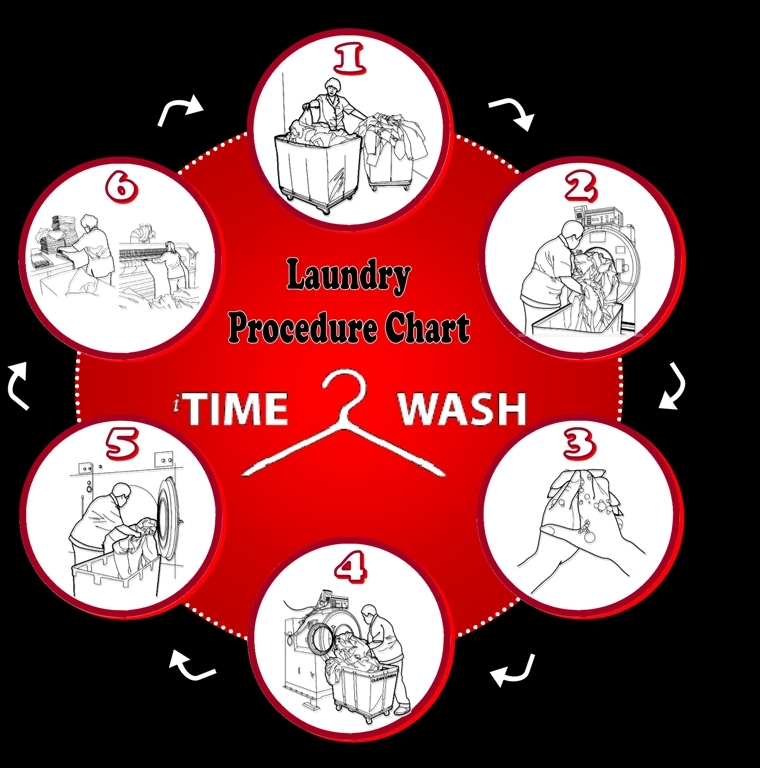 Linen must be sorted prior to processing to enhance the efficiency of the cleaning process. Washer must be loaded with appropriate amount of soiled linen. Must wear clena rubber gloves or wash hands prior to unloading clean laundry. Unload clean linen into CLEAN LINEN cart. Load dryers to appropriate load weight and process time. Items dried too long may be damaged or discoloured. Dryers must have a cool down stage to minimise wrinkling.